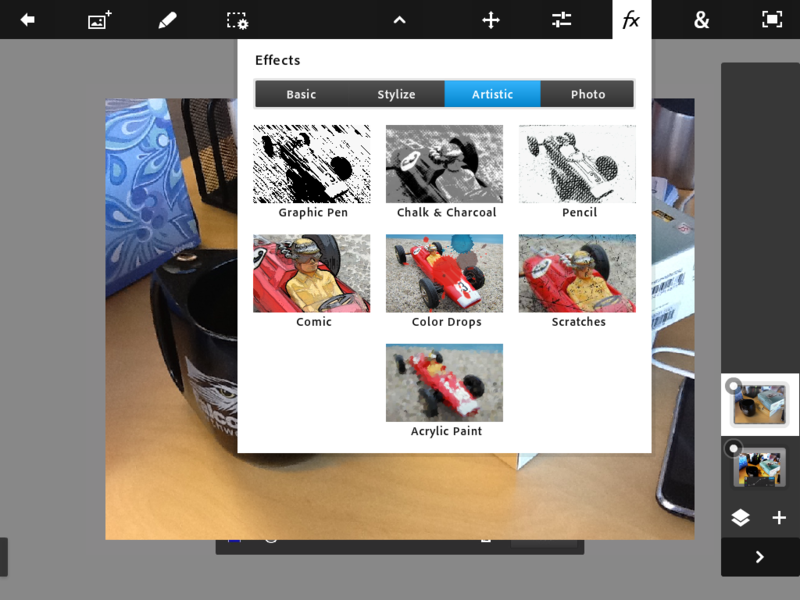 Adobe has (finally) released the official version of Photoshop Touch for iPad. 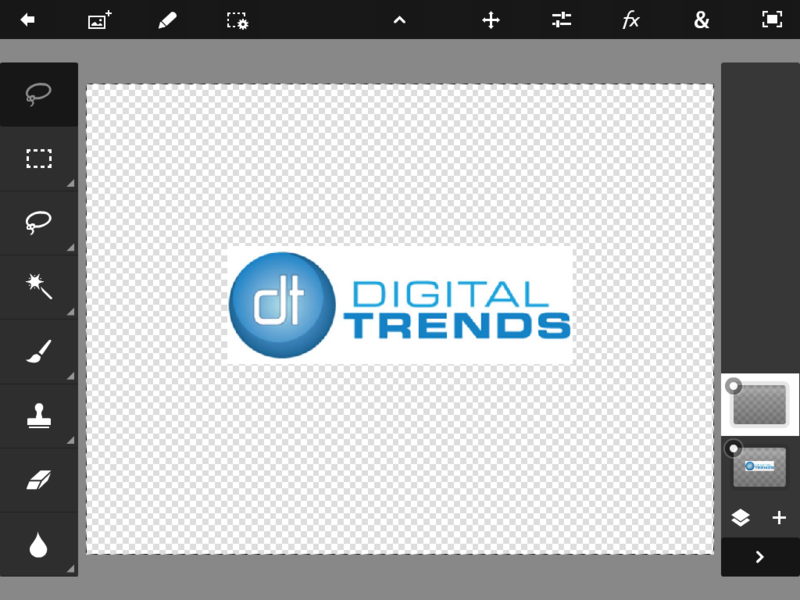 Back in May, the legacy image design powerhouse brought us three separate apps that sort of represented where Adobe was going with this whole touch experience for image editing. Now we’ve got the real deal, but for a $10 app, it had better deliver. That’s a pricey app, especially when you take into account how frantically everyone has jumped on board with more simplistic photo platforms like Camerta+ and Instagram. Opening Photoshop on your desktop might be an overwhelming experience. For first time users, the double axis tools are unfamiliar, and even those who have dabbled with built-in applications won’t find much here to help them. The language (where there is any – it’s a pretty icon heavy program) is also fairly isolating, not helping matters. Saying Photoshop dumbed down its user experience for iPad wouldn’t be adequate – it just resonates better when you’re using a touchscreen. Navigating the application has more of a sequential interface than its desktop counterpart, taking users step-by-step through the beginning process. The double axis interface is still there, but instead of being mostly icons, it’s entirely icons. They are descriptive enough yet still simple, grouping things together so that you aren’t overwhelmed by the options. You can also get rid of a bar of tools for more visual space. While the setup is undoubtedly simplified, veterans will still feel at home. Everything is (more or less) in the same place. But having your toolbox literally at the tip of your fingers via drop downs and a more evenly spaced canvas gives it a cleaner, less technical look – without making you feel like you just paid $10 to use an slightly more advanced Instagram. Don’t worry, they might not be quite as obvious as we’re used to, but the tools are in there. 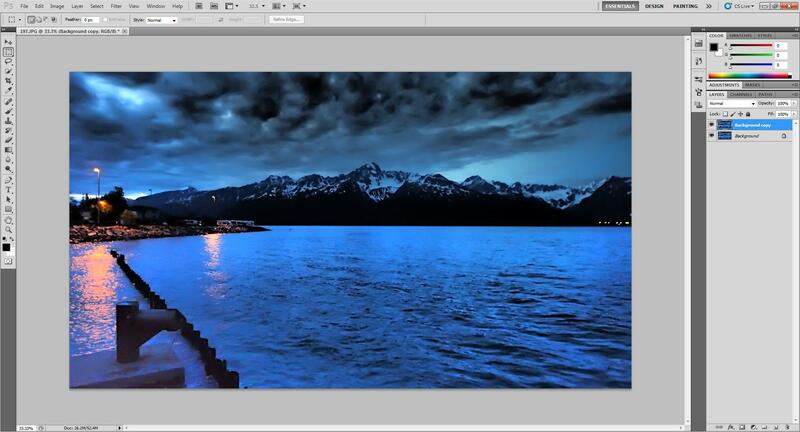 As you might expect, Adobe has outfitted Photoshop with some rather familiar looking tools. In addition to allowing users to manipulate levels and curves, there are a number of preset filters and effects for quick edits. At some point, you were new to the Adobe Creative Suite products (maybe you still are), and during those first, futile, likely self-taught attempts, you hit a wall. The mouse and keyboard shortcuts just weren’t getting the job done, and in frustration you may have found yourself reaching out to touch (or punch) the screen – to uncover that layer, or highlight that one object. The beauty of Photoshop Touch is that you can. Art is a tactile thing, and one of the great shortcomings of digital design is that we’re at the mercy of our computer. There is an extra barrier between what we see in our minds and what we can produce. Of course Photoshop and the myriad of other applications out there have opened the doors for image editing and produced things we never would have been able to make with our brains and hands alone – and translated them to an entirely new medium. Don’t get it twisted: I am not hating on computers. But when it comes to art they bring a certain amount of baggage. Photoshop Touch is a natural extension of what the iPad and digital photography were meant to do – they’re a match made in heaven. The iPad is responsive and tracing a photo with your finger for whatever purpose makes complete sense. The entire experience is like an automatic response to photo editing. Where’s the Flickr integration? Flickr is undoubtedly one of the favorite sites of photographers, and despite its recent issues, it remains a popular hub for professional quality work. It’s something of a home base that users then pick and choose to share out from. A variety of Adobe products allow you to export images directly to Flickr, and given the share-friendly nature of everything iPad, we’re surprised this didn’t extend to Photoshop Touch. I also wasn’t able to get the Facebook connection to work. After seeing that the app successfully integrated with my Facebook account, a screen with the word “Success” appeared… and then nothing happened. I wasn’t able to pull any of my photos from the site, which was frustrating. But that’s a small bug and one we expect the folks over at Adobe will fix shortly. A larger problem (and I’m not sure whether this is a problem with me or with the app) is that I found myself wanting more screen. Yes I know: the iPad is the size it is for a reason. But I couldn’t help wondering how much more detail I could see if the tablet were just a couple of inches bigger. I’d be interested to connect the iPad to a larger monitor and try using the tablet as a remote of sorts, but there would likely be something lost in the resolution quality. As it is with all things, you’re going to hit a wall much sooner than with a desktop application. 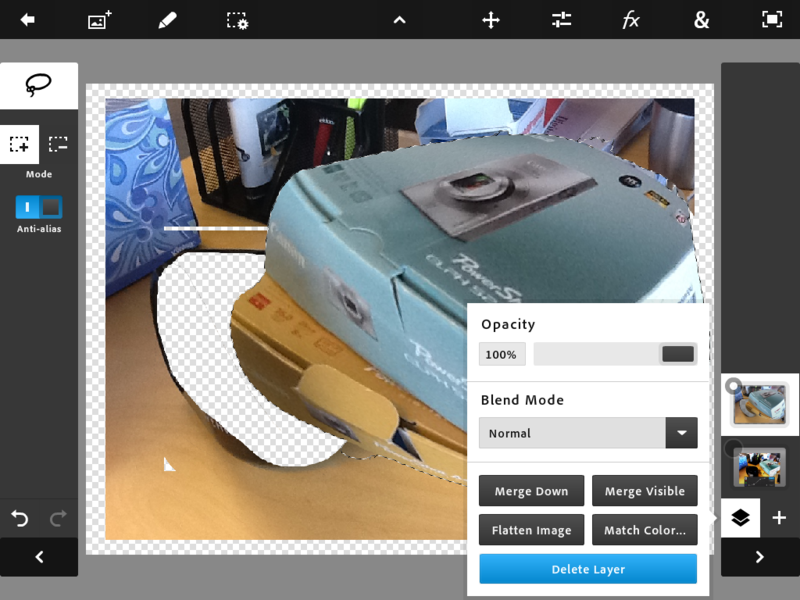 For transforming images, you don’t have as many options. There’s no dodge tool. There’s no eyedropper tool, one of the features I love dearly. But those are the sacrifices you make for such convenience. It is a truly extraordinary tool and one that is well worth the $10.